I am excited to announce that myself and Manuel Quintana (@SQLRican) will be presenting for our local SQL Server User Group on July 15, 2015. 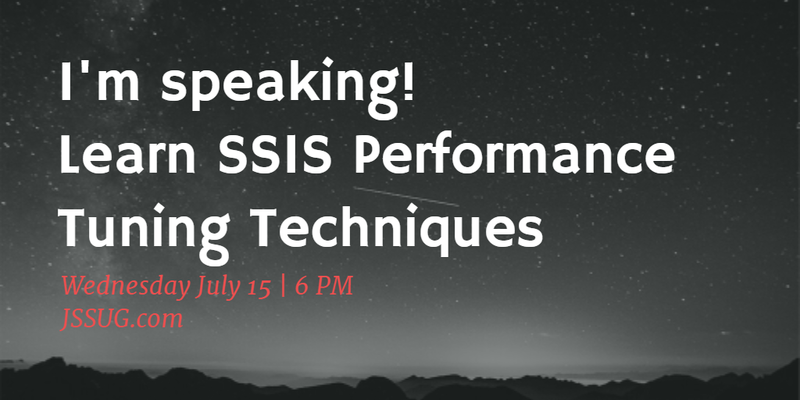 Our presentation topic is “SSIS Performance Tuning” and we will covering some really cool stuff, so don’t miss it! Thursday we will post additional blog references and resources as necessary. We will also answer any of the questions here on this post so please check back for valuable resources!